I’ll admit I’m only experimenting with surfing since coming to Panama. And I’m not sure how far I’ll get. But there was far more to enjoy out here than battling the waves with my board. At full occupancy, Villa Vento Surf on Morillo hosts just eight people. For US$40 a night, we were right on the beach, 50 meters from the break. It’s literally just you, the beach, the waves… and whoever else has checked in at the camp… Forget about WiFi. Instead, sit back and be entertained by your fellow travelers—in our case, a young girl in a bikini, who played her guitar and sang with the most beautiful jazzy voice. 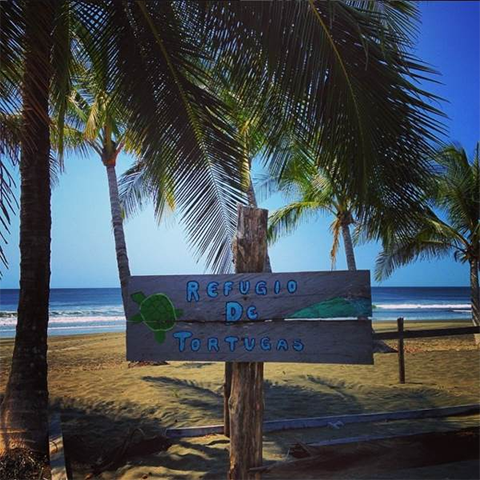 Out here on the Azuero Sunset Coast, you’re surrounded by nature, pure and raw. Sea turtles lay there eggs along the beaches here—I stumbled on a nest during my visit. Right next to Morillo is a national park (the drive over to the park is truly breathtaking—you’re presented with Panama in all her glory). About five minutes’ drive from Morillo, and up in the hills, is the village of Torio. Here you’ll find some small bars and restaurants. Prices, by the way, are about half of those in Panama City. And, I was served the best mushroom pasta I’ve ever tasted. 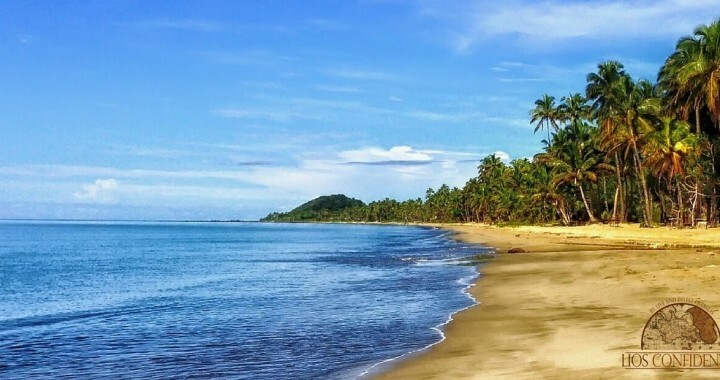 Morillo—and the western coast of Azuero in general—may not be making the top-10 beach lists today. But, 20 or 30 years ago, neither were the hot-spots in Costa Rica and Nicaragua that we read about now. And, for many of these now-celebrated beaches, it was the surfers who drove the path of progress. They came for the waves… and they needed accommodation. Along came the camps, hostels, guesthouses, and resorts. Many surfers were among the first to snap up the best lots and build their vacation or retirement homes. Now it’s tough to find anything affordable along these coasts. This isn’t going to happen here overnight, of course. Morillo—and the Azuero Sunset Coast—is at the beginning of the curve. Even locals in Panama City haven’t heard of it. And, that’s all part of the draw for those who come down here to visit… and the golden opportunity for those who would like to stick around and buy or build their own home. Coming here now, you still have your pick of the best lots… at the best value. We can work out those side-trip details later. For now, be sure to secure your seat using coupon code: PTYCONFIDENTIAL. Posted in Live And Invest Overseas Confidential and tagged living in panama, morillo beach, panama, surf, top beaches in panama.